Children’s Acupuncture or Shonishin is more commonly known as Japanese Paediatric Acupuncture and it literally translates as “Children’s Needle”. Both Traditional Chinese and Japanese acupuncturists have been treating children for centuries. The Shonishin system, more specifically, dates back to the 17th century Japan in the Osaka region and then passed down through the generations until it was popularised through medical journals and publications in 1960s Japan. Shonishin is designed to be able to treat children up to about 12 or 13 years old in a gentle, comfortable and caring manner, with the child remaining calm and reducing any stress for both the child and parents. A basic Shonishin treatment involves asking questions, observation of the child, pulse or stomach diagnosis and the treatment. Home treatments are often taught to the parents after one or two sessions so that the Shonishin therapy can continue between sessions. This allows the parents to continue treatment under the supervision of the practitioner with some regularity and also encourages the bond between a parent and their child. 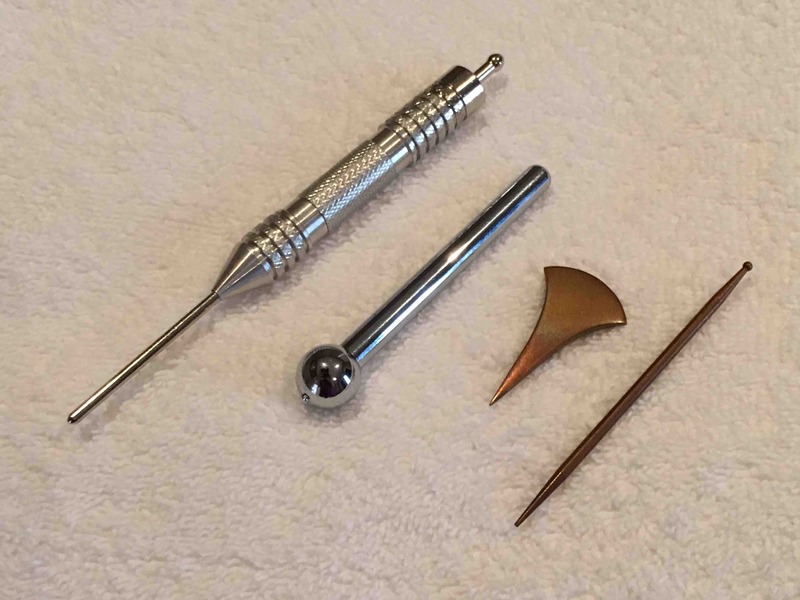 The Shonishin approach uses a range of tools and is generally needle-less. The tools used within Shonishin are often blunt and used for techniques that stroke, tap and press the various meridians of the child. The techniques are gentle and the procedure is often completed fairly quickly without any discomfort or distress to the child. A Shonishin session uses these tools in combinations to stroke, massage, press and tap over a range of meridian lines or specific acupuncture points known to promote health and balance within the child. An experienced practitioner knows how to use these techniques to produce a variety of gentle stimulation and sensations within the child and this allows healing through the return to homeostasis. Some of the tools used in Shonishin (from left to right) is the Spring loaded Teishin which is used to stimulate acupuncture points without needling, for rubbing the Enshin is used and looks like a metal ball on a stick that glides over the meridians, the Yoneyama is used for tapping or rubbing certain parts of the body and finally the standard Teishin which is a non-inserting blunt needle used to press or stimulate acupuncture points. Whilst it is common for Shonishin to be totally needle free, there are occasions where absolutely pain free, gentle needling is used extremely superficially with extremely thin acupuncture needles designed for children. The technique is no more then a few seconds long and is generally completed before the child even realises what is going on. Along with the Shonishin treatment involving rubbing, tapping and pressing, gentle cupping or indirect moxibustion may be used to complement the treatment. This will depend on the symptoms of the child and the condition being treated. Shonishin, like Traditional Chinese Medicine, is a holistic means of treating an individual. This means that each child coming in will be differentiated and treated as a unique case and have their treatment tailored specifically for them. Young Children are considered within the philosophies of Oriental Medicine to be in a more “Yang” phase of development and this means their “Qi” moves and responds a lot quicker in comparison to adults. A growing child’s body will naturally consume a lot more “Qi” or energy to allow for all the extra growth and development that is occurring. This often can deplete the organs responsible for producing “Qi” and in combination with other factors within our environment can leave a child open for a range of health issues. There are many things to consider when administering a Shonishin treatment. The frequency, dosage and strength will depend on the age, health or illness of the child and presenting symptoms. Keep in mind that because Children are considered more “Yang”, that the treatment will often be shorter in duration and generally only take a few minutes to administer. The technique is most effective when combined with a home treatment that can be completed using household items and is taught using a spoon for rubbing or a toothpick for tapping. You should always use Shonishin in combination and consultation with your paediatrician or General Practitioner. If your child has a fever and the body temperature is 37.8°C or higher (moderate or high fever) it is generally advised to see your child’s doctor or wait till the fever has subsided before coming in to administer a Shonishin treatment. Shonishin is a wonderfully gentle and therapeutic method to promote healing within children and tackles numerous conditions or problems in a gentle, holistic and caring manner. If you have any questions about Shonishin or the treatment of children, please feel free to contact us for further information or to book an appointment visit Mornington Chinese Medicine for more information. Next PostNext Acupuncture & Hot Flashes in women with breast cancer.